France’s King Francois I imported the Italian Renaissance to his land while he reigned from 1515 to 1547, and his physique and personality ensured that he would do it dramatically. He was over 6 feet tall, and full of energy, libido and ambition. 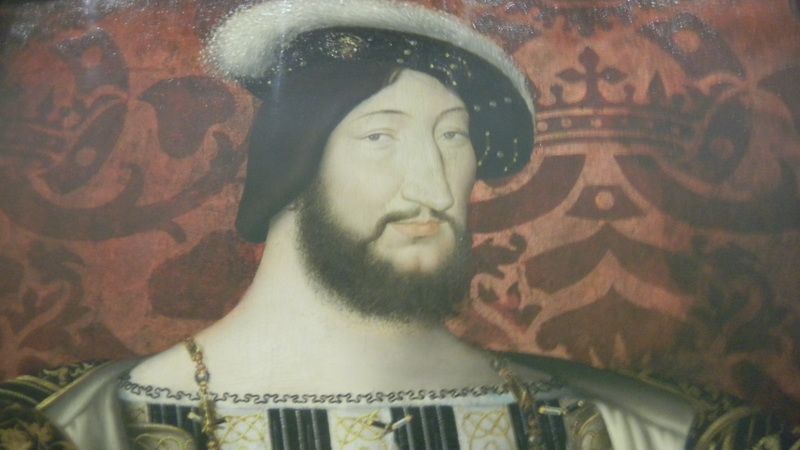 The painter Jean Clouet portrayed Francois (above) projecting so much self confidence that even his athletic frame and full beard seem too small for him. As he tried to expand his persona beyond all physical limits, he helped expand France’s horizons to the Italian Renaissance. Francois wasn’t just a physical phenomenon–he loved art and talks with learned people. So Francois went the extra mile for culture. He brought every Italian painting he could get his hands on to France, transformed the Louvre from a fortress to a luxurious palace, and gave Leonardo da Vinci a home in his last years–and held him in his arms while he was dying. Francois’ court moved around the country a lot, so he bejeweled it with a network of Chateaus. In them, he met his officials, hunted, womanized and patronized art. Poetry, song, sporting matches and revels became fashionable as the king traveled between palaces to govern his realm. 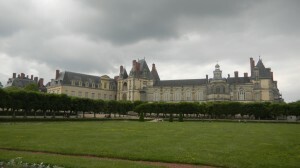 The palace of Fontainebleau (above) was one of his pride and joys. 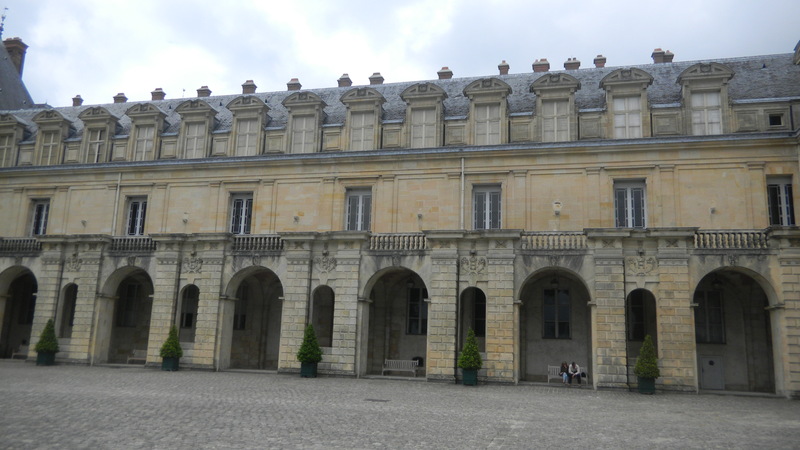 He enlarged it by building a long gallery (above) between the royal apartments and a monastery that Louis IX founded in the 13th century. Inside that row of windows on the middle floor, he commissioned art that set standards for how France would enter the modern world, and make Western culture more creative. We’ll enter it in the next post on Fontainebleau.